It’s New Brunswick Innovation Week May 4 – 12, so BioNB and our partners are promoting innovation by telling entrepreneurship stories like Zecken Labs. Zecken is an early stage biotechnology company based in New Brunswick. Kami Harris is the founder and research scientist who is developing a diagnostic for Lyme disease. We spoke with Kami to learn about her technology and entrepreneurial journey. 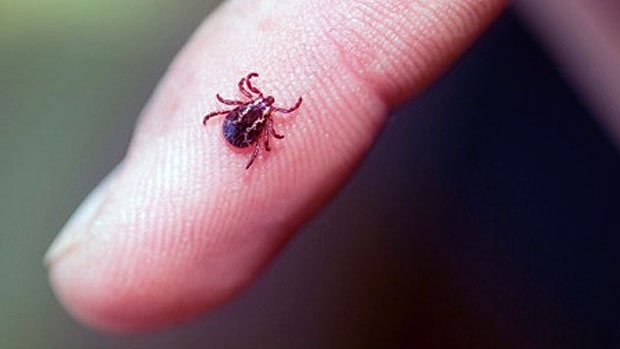 At Zecken Laboratories, we are devoted to improving Lyme disease diagnostics. Currently, the diagnostics available are unable to detect the disease in all its forms – meaning the majority of Lyme disease cases are going undetected and, in turn, untreated. Many of the bacterial types that current tests fail to detect are readily found in nature – right here in New Brunswick and around the world. We are developing diagnostics that will be able to detect many more types of the Lyme-causing bacteria with improved accuracy. Reliable detection of disease will mean far fewer people suffering from Lyme disease. Additionally, the ability to identify the specific type of bacteria causing the disease will provide invaluable information to physicians and other medical professionals when designing a treatment plan for an individual. What has been your major challenge while trying to start/grow your business? The biggest challenge we have faced while trying to start this company has been time. Like so many entrepreneurs, our team at Zecken all have full-time obligations apart from this venture. However, our collective passion and devotion to this company means sacrificing to find the time needed to develop this business to its fullest potential. It’s a balancing act that I believe all entrepreneurs struggle with. I am so thankful I have a team I can rely on, regardless of the challenges we’re facing. What do you think led you to becoming an entrepreneur? I’ve spent the better portion of my research career devoted to Lyme disease. In working closely with the Lyme community through various research projects, I was constantly confronted by the need for better diagnostics. In seeing that gap, I began to realize it was a product and service I had the ability to deliver. For me, it’s about bringing these diagnostics to the individuals who need them and helping restore a quality of life diminished by such a debilitating and underdiagnosed disease. How did you build the Zecken team? I participated in a Business of Science workshop put on by Mount Allison this past fall where I had the opportunity to work with other students and business leaders to develop my business idea. During that workshop, I received such positive feedback and encouragement from professors, BioNB, Springboard Atlantic and other participants that I started to really considering the Breakthru competition. I had a couple of people in mind for my team – Kyley Harris for his marketing and communications experience and Patrick Scanlan for his familiarity with my project and the financial plan. Once I saw how excited Kyley and Patrick were to be on board with this project, we decided to take a chance and apply to Breakthru. We thought it was the perfect opportunity to jumpstart our business and really learn from all that NBIF had to offer. We made it to the semi-finals and are grateful for the experience. The major lesson I’ve learned is the importance of surrounding myself with the right kind of people. I’m becoming an entrepreneur from a research background so the learning curve is steep when it comes to starting a business. With that in mind, I believe the composition of our team truly plays to our individual strengths. Asking for guidance, listening to and following the advice we’ve been given along the way has been a major factor in our progress so far. The tremendous support we’ve received from professors at Mount Allison, and organizations like BioNB, Springboard Atlantic, and NBIF has been invaluable. What are your main goals for the next few months? My personal focus will be on the continued research and development of Zecken’s blood test – a critical component of our diagnostic suite. As a company, Zecken Laboratories will turn our efforts toward securing venture capital. Achieving that goal will represent a huge leap toward to the launch of our product line and ultimately, the reliable detection of Lyme disease.